Henry Holt & Company, 9780805088823, 259pp. Esther Page has been trying to keep things together for as long as she can remember. Valley that's her mama has always gotten funny notions like gardening indoors or living as the Amish do, without any electricity. And Esther has always cleaned up after those notions and watched our for her little sister, Ruth. But Valley's notions are getting wilder, and too many people are asking questions about what's going on at home. It seems to Esther that the only person who can help is Ezekiel the father she can barely remember. Ezekiel was a preacher, that much is certain, so Esther takes Ruth on a search through all the churches in town. Somebody, somewhere, must know about Ezekiel . 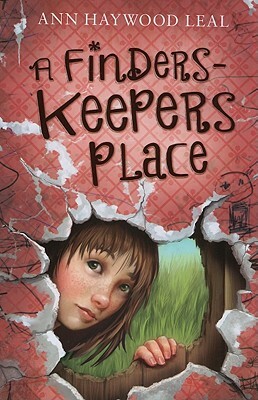 . .
Ann Haywood Leal is an elementary school teacher and the author of Also Known As Harper. She has a black belt in Tae Kwon Do and enjoys spending time with her husband, Andy, and daughters, Jessica and Holly. She lives and writes in Waterford, Connecticut.